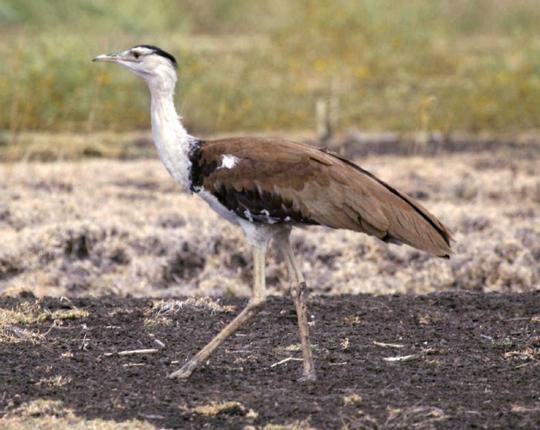 Does the ill-fated Bustard have a chance at a happy ending? An endangered bird with an unfortunate name loses to the peacock for the title of national bird. Neglected, it is poached for its meat and eggs. India, in the meantime, is growing. Farming gets more intensive and grasslands are reclaimed to grow food and feed livestock. The Great Indian Bustard, already on shaky ground, is pushed to the fringes of its habitat. In the 1960s there are about 1,300 birds in the country. Fifty years later, that number is down to a dangerous 250. Do you think we’ll see a species go extinct in front of our very eyes? 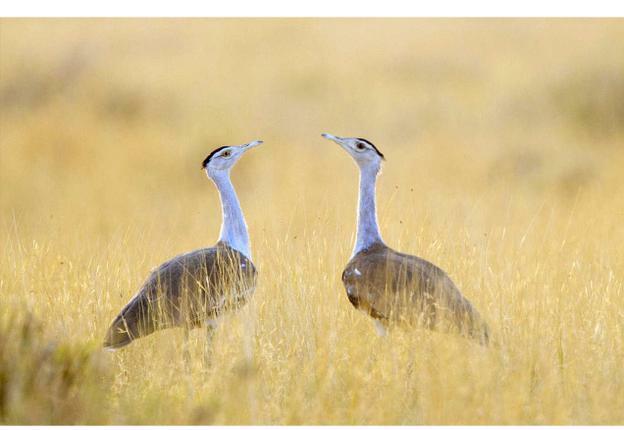 In June this year, it launched ‘Project Great Indian Bustard’, a plan that aims to improve Bustard populations in the state by protecting the bird’s breeding sites and ensuring that areas already meant to be protected really are. While the GIB is listed as ‘critically endangered’ by the IUCN, the landscapes they occupy — grasslands and scrublands — aren’t yet recognised as habitats worth protecting. In fact, government policy until recently has been to convert these “wastelands” into forests by planting trees and shrubs that don’t belong there. Maybe it’s because grasslands don’t seem as conventionally appealing as dense rainforests with monkeys swinging from high branches or blue seas with sharks lurking in the deep. But grasslands too support a rich diversity of life, and rather unfortunately, a lot of it is now threatened. Closing off large tracts of grassland habitat may not be enough. Will they stay in the exact areas we’ve reserved for them? No, because Bustards are birds. And birds, as we know, tend to fly. Even though GIBs do have areas they visit more often than others — especially to breed and lay eggs — very often they are found outside the areas that have been ‘reserved’ for them. During mating season, males gather in groups to put on their spectacular displays for the ladies. These could happen anywhere, and very often they happen outside protected areas. So yet again, they are exposed to all the threats we’ve been trying to keep them from. Let’s look at this from the point of view of the farmer that shares this bird’s space. He has been told that a large part of his land, where he could have grown many crops, is now going to be protected for the Bustard. He should try to keep his cattle out of there, and do all he can to not disturb this shy and fragile bird. I wouldn’t be too happy if I were him. Especially if I found that blackbucks, that had increased inside these protected areas, were now attacking my crops outside of it too. This happened in the Bustard Sanctuary in Madhya Pradesh, and local communities protested by not only poaching the blackbuck (which is a Schedule-I protected species) but also the Bustard, which then went locally extinct. Obviously, the Indian Bustard can only be protected if local communities, villages and farmers are all involved in its conservation. This is going to be quite a challenge and will have to be done sensitively. In the meantime, we need to study the Bustard a little more. How far do they move? Do they fly across states, or countries? Will breeding them in captivity really be able to increase their numbers? Rajasthan has taken the first step in acknowledging that these questions need to be answered right away. The sooner more states follow, the faster the Bustard will recover. Who knows, maybe one day you’ll be able to look outside your room window and see a Great Indian Bustard lounging about in the grassy field below. It’s a long shot, but not entirely impossible. This article appeared in the Hindu in School on 23 October 2013.